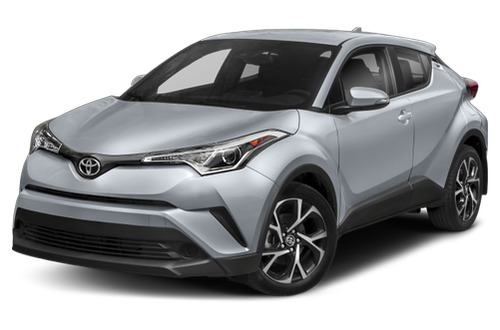 Have You Driven the 2019 Toyota C-HR? I have so much fun in my 2019 C-HR! I have had my 2019 C-HR for several weeks now, and I love driving it. The car stops and turns on a dime, and it’s fun around tight corners. It doesn’t have great acceleration, and the visibility from the back seat is limited, but I don’t often have passengers in the back seat anyway, and the pickup speed hasn’t caused problems. The outside looks fierce, in a good way, and makes the C-HR stand out from all the other CUVs. I’m happy I bought the 2019, which has clear advantages over the 2018, and I would recommend it for most drivers. This car is BEAUTIFUL inside and out! Lots of leg room in the front and back. Roomy area for baggage and or beach gear. Comfortable to ride long distance, and a very quiet ride. 8 out of 8 people found this review helpful. Did you? Love the way this car handles. It rides smooth. Love the way this car handles. It rides smooth. Love that I'm sitting up higher. Really liking the safety features on the vehicle. Feel very safe driving the car. This vehicle is sporty. It’s zippy and eye catching. Fuel economy is good and has plenty of leg room. The hatchback area is roomy. The interior is well defined with clean design. The electronics are easy to navigate. I love the seats they support your back (since I had back surgery) To me it's like driving a pickup (meaning it seats up high not low to the ground) but drives like a car. The only thing I wish the VSC (for slippery roads or drifting to the other side had a volume control so I could turn it up ( ex heavy equipment operator)it could just be me . I just recently bought the Toyota CHR and am very pleased with it. It is a quick smaller car with an expanded inside. It has many of the bells and whistles of a larger car such as large front screen, attachment of bluetooth devices, back up help, braking indicator when getting too close to the car ahead and good gas mileage. I am hoping to drive this car for quite some time just like I drove the Corolla foe 10 years. Never felt safer with such comfort and style! The limited edition is just the right fit. Comfort, fancy and sass in a vehicle, ok mpg. Still learning lots about the car as it has lots of parts to it. fully stocked and loving the new surprises of tech in the car. I have not gotten used to this vehicle yet so may learn to like the things that are bothersome to me presently. I love the way it looks, both interior and exterior. My issue is with the information screen position and vast blind spots. Both make me feel unsafe.